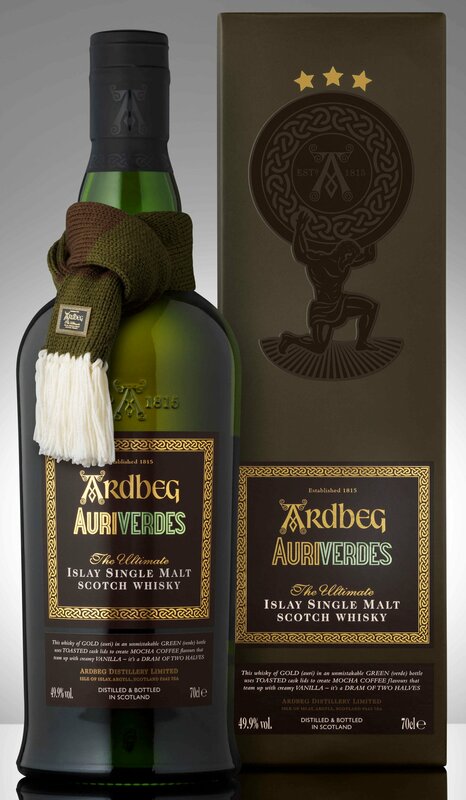 Auriverdes is matured in American oak casks with specially toasted cask lids which were tailor-made for this whisky. Right then, that said, let’s have a quick review of this whisky to see what we can expect in May. 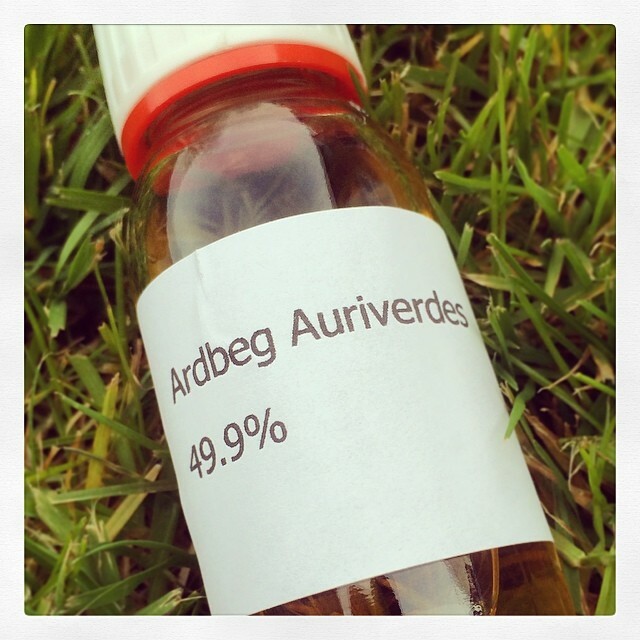 Nose: Inviting peaty loveliness, fairly laid back for an Ardbeg. Quite clean peat smoke, not overly mossy as peat can sometimes be. Lots of malt the comes through along with summer berries and vanilla cream. Hits of tar then come through along with some herbal notes. Palate: This approaches your palate quite calmly. It’s nice and rounded in your mouth, rich oils coving your palate nicely. There’s a pinch of spices, but small enough that you can hold it on your tongue for a good long time while enjoying the peaty malt goodness. Maple cured bacon is an official tasting note, I can maybe get a hint of that. In general it’s well balanced, it’s sweet enough to enjoy without being to overly sweet or savoury. Finish: Warming, fairly dry, smokey and reasonably long, also quite refreshing. Not as long a finish as maybe some other Ardbegs I’ve had however. Sweet vanilla notes poking their heads up with maybe a touch of citrus. Water: Not particularly needed. However a wee drop ups the amount of costal ozone on the nose and allows out a drop more of the toffee flavours. It knocks back the pinch of spice to make it even smoother and particularly easy and enjoyable to drink. Thoughts: A step away from the more sherry finished flavours of the last release, however it’s more subtle and relaxed than I expected, maybe more of a nod at the 10yo… for example I prefer this to Ardbeg Day which I found a wee bit too powerful. I think this is going to be hugely well liked / received, there’s nothing not to like to be honest, it could be on the cards for being a real session dram… However I’m going through a bit of a sherry faze at the moment and I’m kind of missing it giving this some of it’s sweet depth (not that it’s required here at all). If you happen to get a bottle of this I don’t think you’ll be at all disappointed. Available 31st May 2014! Price unknown at time of posting.